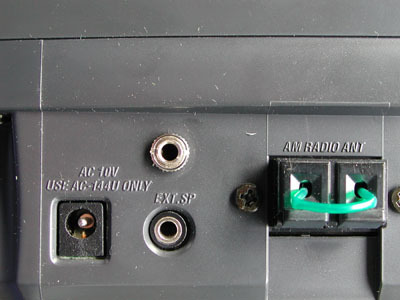 The Uniden Bearcat 278CLT uses an MC3361 receiver IC. 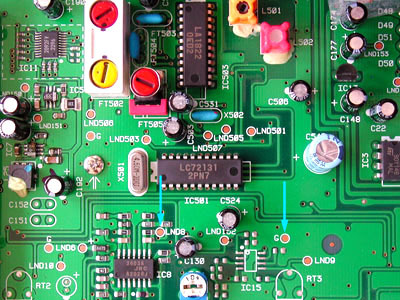 This IC is located on the bottom on the main circuit board. It's quite an operation to reach this IC: 8 screws have to be removed before the main PCB can be separated from the bottom of the scanner. However, the unfiltered baseband audio can easily be taken from test point LND8. LND8 contains the baseband signal. 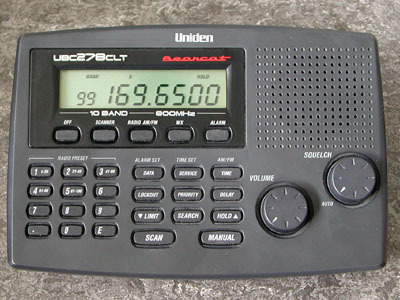 LND8 contains the data signal. 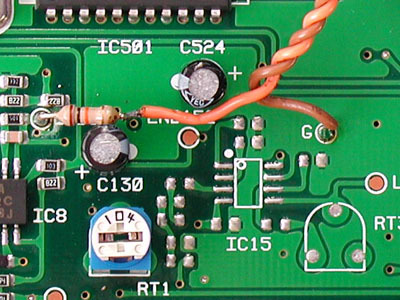 A 10 k resistor is soldered to this test point. 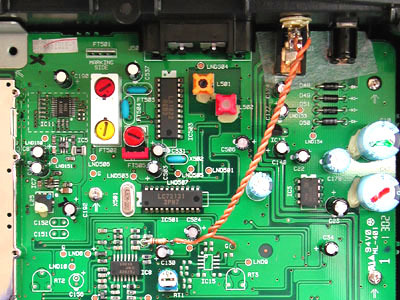 I mounted the resistor vertically before bending it towards point G.
Using two twisted pieces of installation wire, the resistor's other lead and G (ground) are connected to a 3.5 mm chassis terminal, which can be mounted in the back of the scanner.